After upgrading to Win10 1809 (the infamous November 2018 rollout) and updating to the latest WSL Ubuntu build, I noticed a bunch of issues with my ConEmu/WSL setup. Vim wasn't navigating as it should; ignoring input at random and text wasn't pasting properly into the command line. It seemed to be truncated randomly and I couldn't spot a pattern. Turns out there were some changes to the way input was encoded and I needed an update for ConEmu and use their wslbridge script. I tried updating and the performance hit was awful. I had native WSL and bridged ConEmu side by side tailing the same log file and the bridge script was causing it to jitter uncomfortably. 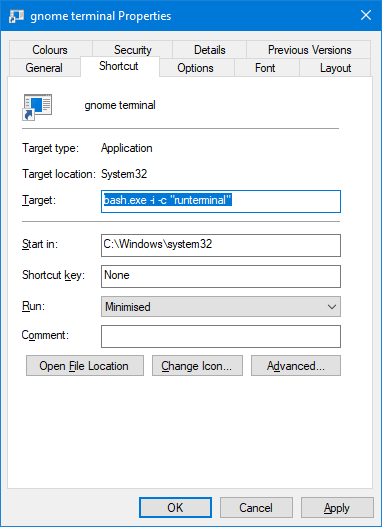 Along the way I found an extremely helpful post by ropnop called "Configuring a pretty and usable terminal emulator for WSL". I didn't know it was possible to forward the X Window manager to... Windows! 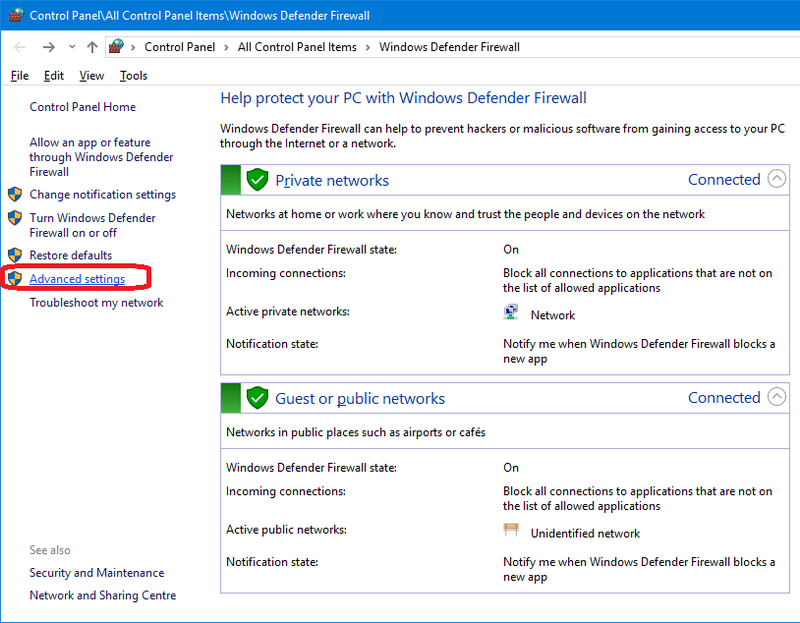 There was a detail or two missing (regarding firewall and dbus) but eventually I managed to get it working in a slightly simpler way (no need for vbscript). Install VcXsrv and run XLaunch. The default settings are fine, but be sure to save the config so you can simply run the configuration to start X. 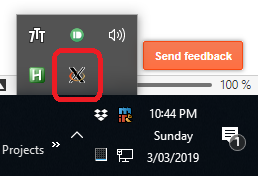 Make sure the icon appears in the taskbar. 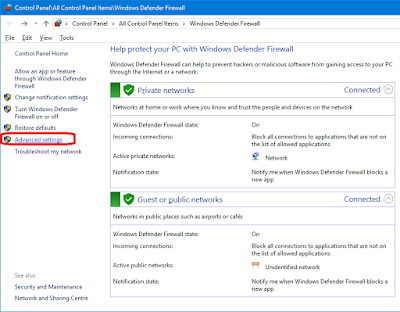 Start off with "sudo apt-get update"
Click on "Inbound Rules" under "Windows Defender Firewall ..."
Set "Run" to minimised to avoid an unnecessary command prompt flicker. 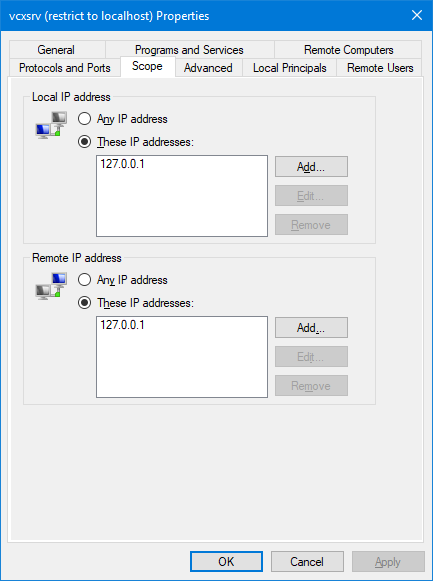 Issues with dbus-launch and x11 forwarding and /etc/machine-id?